Save $95 by signing up for the 2 Day SketchUp Class by Friday. 3D Printing is becoming more and more popular and easier than ever to do on your own. SketchUp has always been known as a quick and easy 3D modeling program to help visualize ideas. The process for 3D printing is not well documented and depending on the complexity of the file; users can quickly get frustrated that their beloved model doesn’t print how they wanted it. 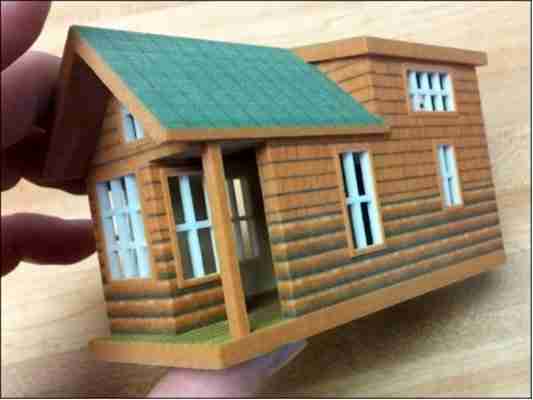 3D Printing with SketchUp offers a great overview to ensure a successful and effecient 3D printed object. Chapters are broken up into small exercises that then build up to a larger project with step by step information. Personally, I tend to avoid trying to read a manual or book for software training because I prefer to see the step by step instructions in a video tutorial. However, the steps and detailed instructions help to clarify important workflows specific to 3D printing. I found myself highlighting key tips and tricks. Knowing these settings and plugins make for a better model and smoother process. If you are a SketchUp user looking to create any prototypes or architectural models, I highly recommend this book. It is available in hardcopy or .epub version through Packt Publishing. 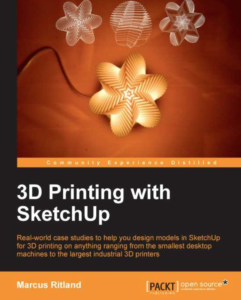 Over the next few weeks, I’ll be reviewing the latest book from Packt Publishing: 3D Printing with SketchUp.